Free betting tips, free bets, reviews, and more! Click below to play Real Money Cash Games or play for Free! Champions League experience made all the difference in the first leg as Juventus ran out 2-0 winners at Stade Louis II, and all that’s left now is to finish the job in Turin. Monaco, on the other hand, will attempt to keep the tie alive by scoring an early goal, but their chances of reaching the final are quite slim. In spite of the failure to win their last two league fixtures, Juventus are almost certain to make it six Serie A titles on the bounce due to their seven-point advantage over second-placed AS Roma. Even if they lose at Stadio Olimpico on Sunday, the Bianconeri will have easy games against Crotone and Bologna to seal the coveted trophy, so no wonder they are currently focused on their Champions League campaign. Max Allegri’s selection for the local derby against Torino was the perfect proof as the highly rated tactician rested a number of starters for the return leg against Monaco. After the 2-0 triumph at Stade Louis II, Juventus can be backed at 1.67 (2/3) to win the return leg as well and there seems to be good value in said odds. The likes of Gianluigi Buffon, Gonzalo Higuain, Miralem Pjanic, Alex Sandro and Dani Alves are among those set to be recalled, while there are no fresh worries for Max Allegri. Probable starting line-up (4-2-3-1): Buffon – Alves, Bonucci, Chiellini, Alex Sandro – Pjanic, Khedira – Cuadrado, Dybala, Mandzukic – Higuain. Monaco have been thoroughly impressive in both Ligue 1 and the Champions League this season, but they appear set to exit the Europe’s leading competition. 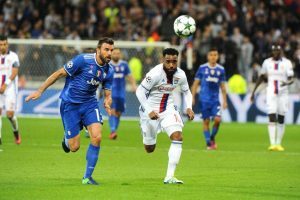 It was the lack of experience at the highest level that proved a major issue for the Principality club in the first leg against Juventus, as their key men struggled to play to their potential. Meanwhile, the Bianconeri had no such problems, but even though the defeat was quite difficult to bear, it should definitely serve as a great learning curve for Leonardo Jardim’s youthful side. Monaco continued the impressive league form by defeating Nancy on the road and they are just one win away from securing the Ligue 1 trophy. Kylian Mbappe and Tiemoue Bakayoko will be recalled to the starting line-up, but full-back Benjamin Mendy remains doubtful. Probable starting line-up (4-4-2): Subasic – Dirar, Glik, Jemerson, Sidibe – Bernardo Silva, Fabinho, Bakayoko, Lemar – Falcao, Mbappe. Unique Ca$h-In function - Sell your bets early before losing! All major currencies accepted. Superb banking options.